In 2017, we are trying to broaden our topics that we discuss on the podcast, including areas that we are ourselves are not all that familiar with. 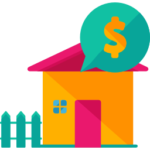 We feel like we owe it to you, to cover all aspects of investing in rentals even if we, ourselves, don't have a ton of experience with it. 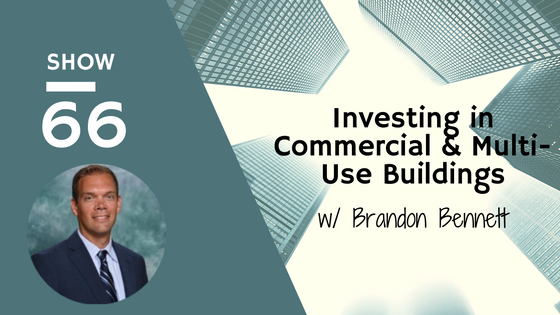 In this episode, we invited Brandon Bennett on to chat with us about how he really tripped into investing in rental property, specifically commercial and multi-use buildings. By multi-use we mean both commercial and residential rentals. He shares how he just happened to make an offer and get it accepted on the first property and how that first property led him down the path of commercial rentals. Now, he has 6 buildings and 4 plats of land in his portfolio. He also shares some insight into finding financing for his commercial buildings and what the terms of the financing looked like for his purchases. In addition, Brandon shares how he has leveraged investing with a partner and what the structure of that partnership looks like.